At Legal & General we aim for our tax affairs to be transparent and sustainable. We are committed to tax transparency and we have been active participants in this debate. We make a great deal of tax information publicly available. We have met almost all the answer requirements to answer YES to this current R100 tax question. However, we have not quite met them all, thus we answer NO. This stated, it is obvious we are exhibiting an extremely high level of transparency in regards our tax policies and practices via our disclosures below, and via the links and references provided. Where we have not currently disclosed the required information to meet every YES answer requirement, we have provided an explanation as relevant. Despite not meeting all the YES answer requirements, we nonetheless perform well enough to be scored as EXCELLENT against the current R100 scorecard. We have historically disclosed our tax policy in our annual Group and accounts but for 2014 we have disclosed this in the tax page of our investor relations website. The tax page of the investor relations webpage also details how we manage our tax risk and the governance procedures. We also provide further information on tax risk management in our tax blog. We disclose our material operating entities and investment vehicles in our Group accounts along with the country that they operate/incorporated. A complete list of undertakings is annexed to the Company’s annual return which will be available from Companies House. Our Group website provides links to our overseas business websites and there is also information on where our segments operate on the business segment profiles. Our view is that we take a materiality approach to publishing information that we feel is appropriate, proportionate and relevant to users of the information. Our overseas companies were established for genuine commercial reasons to enable us to develop and expand our business. We do not explicitly explain our use of tax havens but we publish information regarding the countries that we operate in. In our annual Group accounts, we publish profit before tax figures by country and there is further country by country information detailed within our CSR report. We may publish information on certain territories in the future based on our materiality approach where we feel it would be appropriate and are currently considering whether to update our tax investor page. The results of all companies in the Group are consolidated in the annual Group accounts which is available on our website. 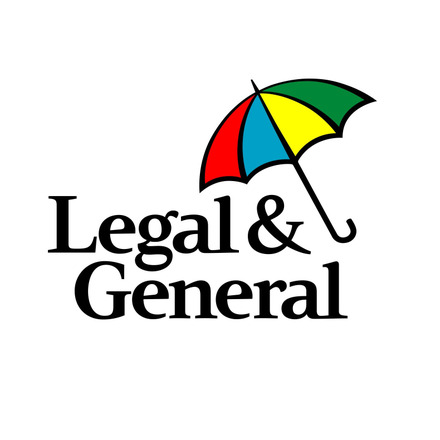 We also publish the accounts for the Legal & General Netherlands group on our Dutch website. The accounts of all our UK subsidiaries are publically available at Companies’ House but are not currently published on our website. The accounts of our Irish subsidiaries are publically available on the Companies Registration Office but are not currently published on our website. The accounts of our French subsidiaries are publically available on the French Companies House website. We shall consider publishing the accounts of all our subsidiaries in one place online. This would require approval from the relevant Boards and ensure we do not breach any local regulatory requirements. We also provide some of this information by country in our CSR report. We have not disclosed current and deferred tax charges by jurisdiction as we have taken a materiality approach and we felt that there was limited interest. However, we do split the deferred tax information between UK and overseas in the Analyst pack (see 2.22). b) Compared to many international groups, we have relatively few intra-group transactions. We have not disclosed information on significant intra-group transactions but all of our intra-group transactions are on arms’ length terms and we are considering including this information on our tax investor page. c) We provide a reconciliation of the Group current tax and total tax charge in the Group accounts. We have not provided this by each country that we operate in as we have taken a materiality approach. However, we do publish information on cash tax and taxes borne by country in the CSR report. d) The Group accounts provide a breakdown of the groups deferred tax assets and liabilities. There is further information on deferred tax relating to losses in the Analyst pack given the interest in these balances. We have not published detailed explanations of other deferred tax amounts to include when and where they might be due and the events that might trigger it being paid because we feel that this is subjective and there are restrictions on forward looking statements. We do not disclose information on significant disputes with the tax authorities or campaign groups as this could be detrimental for those involved. However we do comment on our relationship with HMRC in our tax blog and how we work with campaign groups on our investor relations tax page. We do not provide information on how many years of tax returns remain open and what the main issues that are outstanding. We will consider if any further information could be disclosed on this. We support country by country reporting as detailed in our annual report and accounts. We currently voluntarily publish some country by country data already in our CSR report. Country by country information as prescribed by CRD IV is also published on our Group website. Tax is an important and integral part of our business. We recognise that our stakeholders not only include our investors, customers and employees, but also the wider society. It is important to us that the right amount of tax is paid at the right time in the right place. Paying tax is part of how our business contributes to society. Taxes provide public revenues for governments to meet economic and social objectives, including the creation of jobs, generating business for suppliers and building infrastructures. We have been active in the promoting tax transparency debate and aim to build trust with our stakeholders. We also work with the charity tax volunteers which provides free expert caring independent advice for older people. Our tax facts app is packed with useful information, including key dates, tax tips, and calculators. We have supported the recent debate on tax transparency and this was recognised when we were winners of the 2012 PwC Building Public Trust Awards and we were also highly commended in 2013 and 2014.
Business transparent on tax, adopting best practices and actively supporting multi-stakeholder initiatives to help encourage more effective tax regulation and practices for the modern, global economy. Business exhibits a degree of transparency on tax. Business not transparent on tax. Legal & General answered Version 2 of this question. It has since been updated to Version 4. View a side-by-side comparison of the changes to the question here.